One of the greatest artists of the Renaissance, Hans Holbein the Younger was also a complex and fascinating man who knew Erasmus, Thomas More, Henry VIII and many of the sixteenth century's wielders of power and influence. He developed his own distinctive attitudes towards religion, politics and social life as he moved among stalwart burghers, merchant adventurers and the bejewelled denizens of a glittering court. The Elizabethan artist Nicolas Hilliard recognised him as 'the greatest Master in [portraiture] that ever was'. Yet the range of Holbein's talent went far beyond painting likenesses. He was constantly in demand for trompe-l'oeil murals and intricate jewellery designs, and he revolutionized book illustration. He produced Catholic altarpieces and Protestant propaganda engravings, woodcuts and drawings depicting the stories of the bible. In this fascinating biography, acclaimed historian Derek Wilson gives a fresh account of Holbein's motives and paintings, suggesting that they included coded signals and propaganda about political figures of the time. 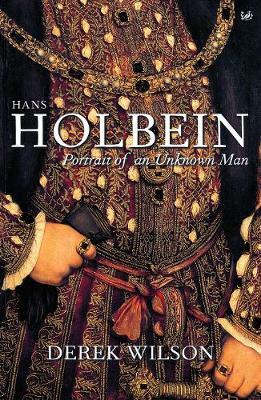 Hans Holbein: Portrait of an Unknown Man is a controversial reinterpretation which presents the artist as a man inextricably bound up in the stirring events of a creative and turbulent age.